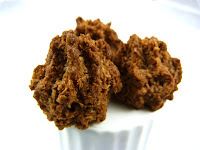 More chocolate macaroons today for Day #2 of Chocolate and Gluten Free Cookie Theme Week. These diminutive Chocolate Coconut Macaroon Cookies from Aleia's Gluten Free Foods (Branford, CT) provided a small, sweet bite-sized, coconut flavored snack, with a light cocoa flavor. At $12.49 a bag, they were not inexpensive, but they were also made in a certified, dedicated gluten free facility, and the bag did contain a fairly generous 12 oz. (340.2 g.) worth of cookies. 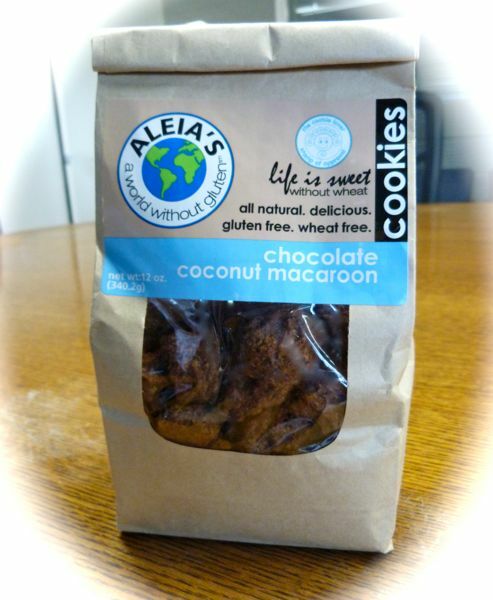 Aleia's founder, Kimberly Snow, found she couldn't eat gluten, and used her culinary chef training to create a line of gluten free products including bread and cookies.